Newbery Plumbing and Heating - Plumber based in Edenbridge, Kent. We are a reliable, competent and well-established plumbing and heating business covering Surrey, Kent, Sussex and Greater London. 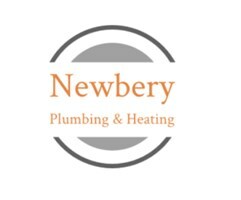 Newbery Plumbing & Heating was established in 2014 by Freddie Newbery. Freddie has over 8 years' experience within the trade and although the business has only been running for 5 years, we continue to attract new customers as the word spreads on the quality of our workmanship and professional approach. Our services are provided at a fair price and we’ll always be open and honest about the options available to you. Areas we cover: Edenbridge, Lingfield, Sevenoaks, Oxted, Westerham, Tonbridge, Biggin Hill, Warlingham, Woldingham, Caterham, Bromley, Redhill, Crawley, South London.